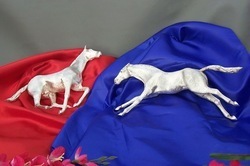 We are getting huge appreciation from our clients for offering a handcrafted Horse figures.This product is crafted as per the latest market trends with the aid of advanced technology under the guidance of our skilled professionals. 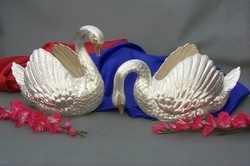 With precious understanding of the relevant industry, We handcrafted a Beautiful SWAN FIGURINES. Our offered range is crafted utilizing high grade factor inputs and advanced technology to meet the set international quality standards. This range is tested by our quality controllers on various quality parameters. 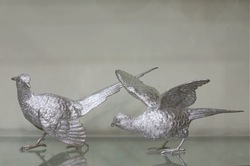 With precious understanding of the relevant industry, We handcrafted a Lovely pair of Dove figures. 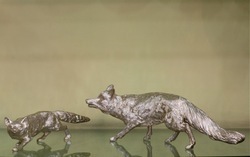 Looking for SILVER PLATED FIGRALS ?